Milco International, in 2007, began a long term partnership with Russia’s second largest auto manufacturer, GAZ. The plant is located in Nizhny Novgorod, a heavily industrialized region along Europe’s largest river, the Volga. This partnership began when Milco supplied weld guns for a complete body shop to build the SIBER, which replaced the most popular Russian car of all time, the VOLGA. 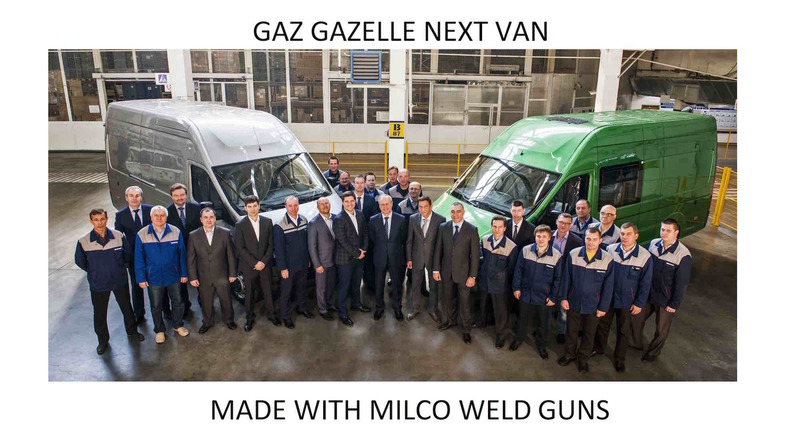 Since then, Milco has completed five different body shops with GAZ. The most recent one was created for their newest van, GAZELLE NEXT, pictured below. 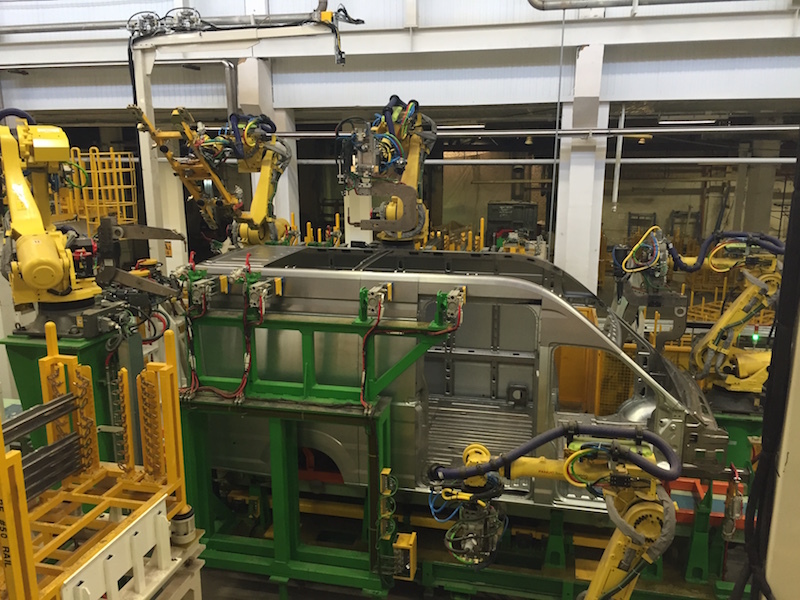 The body shop was built with Milco Weld Guns in 2014 and 2015. Milco Weld Guns are custom designed and built to meet our clients’ specific manufacturing needs. We have earned a strong reputation for developing custom welding solutions when project conditions prohibit the use of standard products. Because we control every aspect of the manufacturing and construction of our guns, we can maintain a level of quality and service few can manage. This philosophy has allowed us to place our servo and pneumatic weld guns into leading manufacturing facilities, like GAZ, around the world. We look forward to many more projects to come with the talented GAZ team!